Knowing that consuming untested shellfish can lead to Paralytic Shellfish Poisoning leaves you with only two options: 1) don’t go clamming or 2) find a way to test your shellfish. Until recently, the only lab capable of testing shellfish was the State’s DEC lab in Anchorage. That lab is already prohibitively far away for most Southeast Alaskan users, but it also prioritizes commercial samples. That meant that for people in Southeast, the only safe way to eat shellfish was to buy them from the store. The Sitka Tribe of Alaska built an Environmental Research Lab (STAERL, pronounced “sterile”) to give shellfish harvesters around Southeast a way of testing subsistence shellfish. 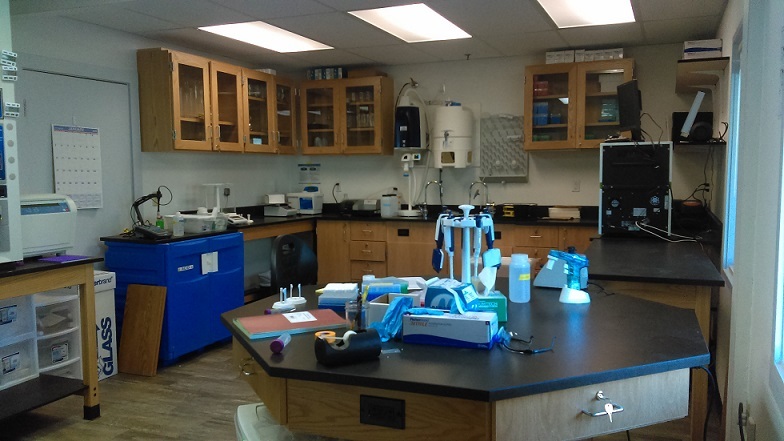 The lab uses a Receptor Binding Assay (RBA) to determine the amount of saxitoxin (Paralytic Shellfish Poisoning risk) and an Enzyme Linked Immunosorbant Assay (ELISA) to test for domoic acid (causes Amnesic Shellfish Poisoning) in a sample. If shellfish have unsafe levels of toxins in them, the Sitka Tribe will send out a community-wide alert. Over the next year, STEARL will also work toward certification from the Food and Drug Administration and the National Shellfish Sanitation Program, allowing it to test commercial dive samples as well. Both commercial and subsistence toxin testing are focused on increasing the SEATOR partnership's and local citizen's access to local shellfish. Make a plan for testing your samples. Each test costs $50 (cash or check accepted). STAERL staff recommend you test each species you plan to consume, as toxin levels can vary significantly. The testing procedure starts when you’re harvesting. Make sure you collect extra shellfish of each species and in each distinct harvesting location to be tested. Our lab needs approximately 5 ounces (~⅓ of a pound) of shellfish meat for tests, so plan accordingly. For guidelines on the number of extra shellfish you should collect, look on the back of the Shellfish Marine Biotoxin Sample Form. Rinse as much dirt or grit off the outside of your shellfish as best you can. Do not hold shellfish for the lab in seawater or freshwater, however. If you can’t bring them to the Sitka Tribe directly after clamming, keep them in the fridge and cover them with a wet cloth. Shellfish will be tested the first full business day after they are received unless otherwise noted. You will be contacted with your results as soon as they become available. We will follow the FDA-approved guidelines of not more than 80 µg/100g of shellfish for saxitoxins and not more than 20 ppm for domoic acid to determine whether shellfish are safe or unsafe. Please note: as a general rule, we will not publish your results any further as long as all samples come back under regulatory limits for toxins. If any samples come back unsafe, however, we reserve the right to issue a community advisory for the area.